Though currently only partially understood, evolving interactions among Latin American communities of faith, governments, and civil societies are a key feature of the popular mobilizations and policy debates about environmental issues in the region. 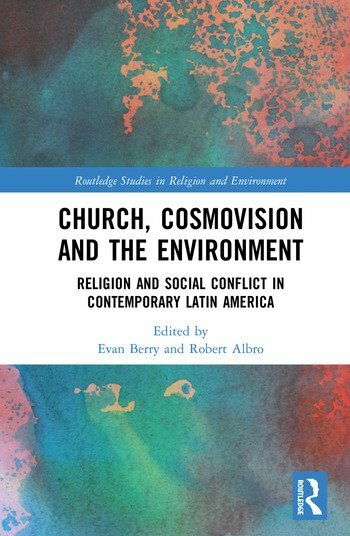 This edited collection describes and analyses multiple types of religious engagement with environmental concerns and conflicts seen in modern Latin American democracies. This volume contributes to scholarship on the intersections of religion with environmental conflict in a number of ways. Firstly, it provides comparative analysis of the manner in which diverse religious actors are currently participating in transnational, national, and local advocacy in places such as, Peru, Argentina, Brazil, Bolivia, Ecuador, Guatemala, and Mexico. It also considers the diversity of an often plural religious engagement with advocacy, including Catholic, Evangelical and Pentecostal perspectives alongside the effects of indigenous cosmological ideas. Finally, this book explores the specific religious sources of seemingly unlikely new alliances and novel articulations of rights, social justice, and ethics for the environmental concerns of Latin America. The relationship between religion and environmental issues is an increasingly important topic in the conversations around ecology and climate change. This book is, therefore, a pertinent and topical work for any academic working in Religious Studies, Environmental Studies, and Latin American Studies.